I can't believe that the NBA preseason is underway and that the regular season opens in less than two weeks on Tuesday, October 29. We have high hopes in Cleveland that we can return to the playoffs for the first time since Lebron left us! What a game basketball is! 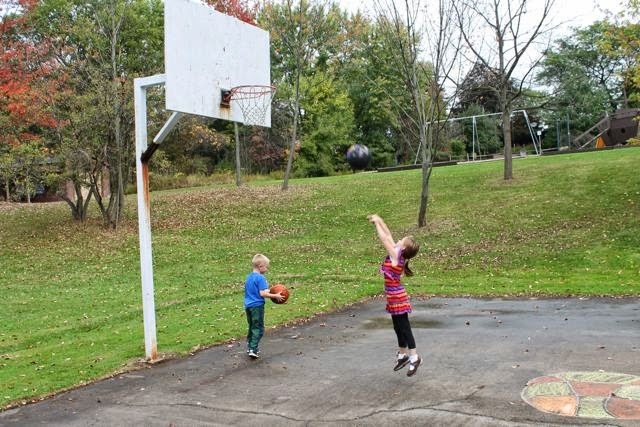 I spent countless hours as a kid playing basketball. 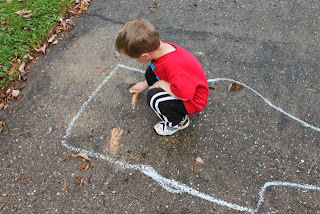 My best friend, his two brothers and I would play every morning before school while waiting for the bus. We would to go to school with dirty hands and sweaty hair after playing H.O.R.S.E. 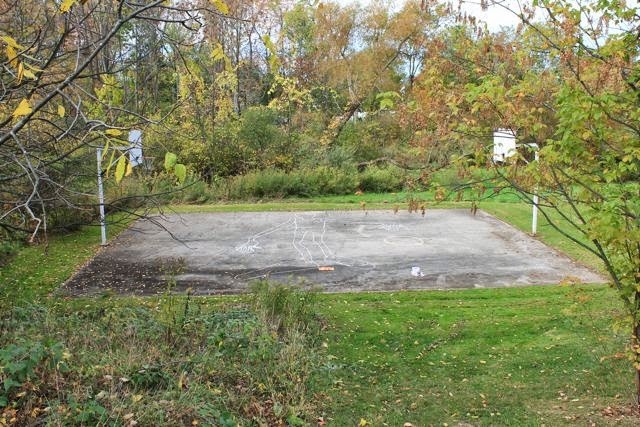 and other silly basketball games we invented! I have memories of playing rough and tumble games on recess that looked more like football than basketball. After school, during the basketball season there was always practice. In elementary school, my favorite part of practice was the dribbling and ball handling drills. In high school, I hated all the conditioning but loved the intersquad scrimmages to prepare for the weekend games. Basketball was a huge part of my childhood for many years. 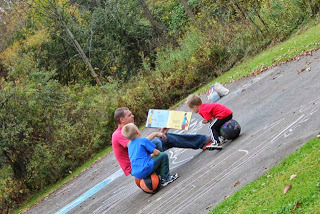 This week's author birthday celebration for Christopher Myers brought back many great memories. 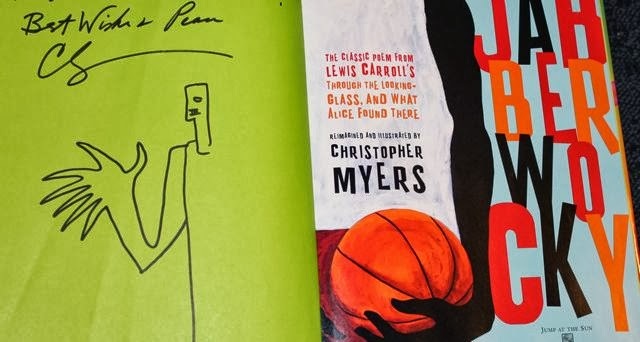 In September, my son and I met Christopher Myers at the National Book Festival in Washington D.C. We asked him sign to our copies of Black Cat and Jabberwocky. 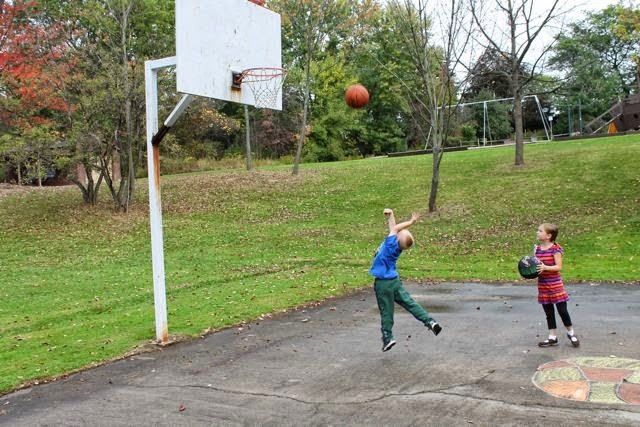 I told Chris that my son had just recently started to get interested in basketball. He thought that was really cool and then drew his Jabberwock character for my son in the book. My son was so excited! Even though we had Christopher sign the book to all four children in our family, my son has claimed it for his own because of the drawing. On that day, Christopher shared his birthday with us. I told him that we would be celebrating it on the blog with a basketball experience, but I really didn't know at the time exactly what we were going to do. It wanted it to be more than just playing basketball. During my planning for this author birthday celebration, I kept coming back to the drawing that Christopher did for my son. How could I bring that to life? 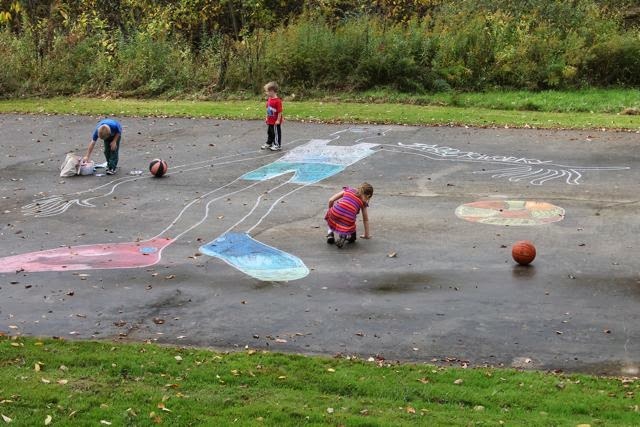 The day before I was going to celebrate Christopher Myers' birthday with my children I snuck down to our neighborhood basketball court and drew a giant Jabberwock with chalk, based on an illustration from Christopher Myers' book Jabberwocky. 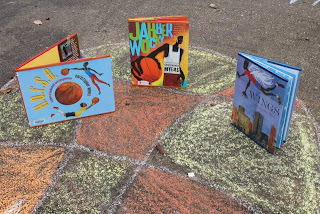 The next day, I told the kids to grab their basketballs and I grabbed my camera, books, and chalk. 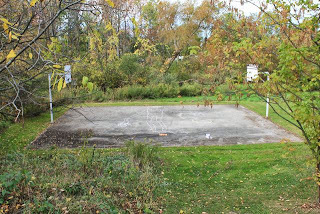 Then, we headed down to the basketball court. Once we got to there we read Christopher Myers' Jabberwocky, an interpretation of the famous poem from Lewis Carroll's Through the Looking Glass. We loved the brightly colored illustrations! My kids and I really liked how Christopher told a story through his illustrations of a smaller player challenging the seemingly unbeatable foe to a game of one-on-one and coming out victorious. I asked my children if they would help me color the giant Jabberwock. My youngest son immediately wanted to draw the Jabberwock's mean "eyes of flame." 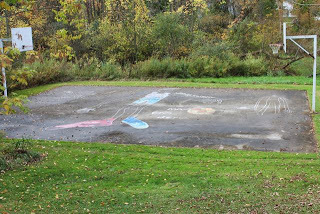 My daughter also suggested that we all sign our name to our work of art. 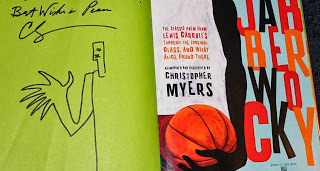 While on the basketball court we reread Christopher Myers' new book H.O.R.S.E. 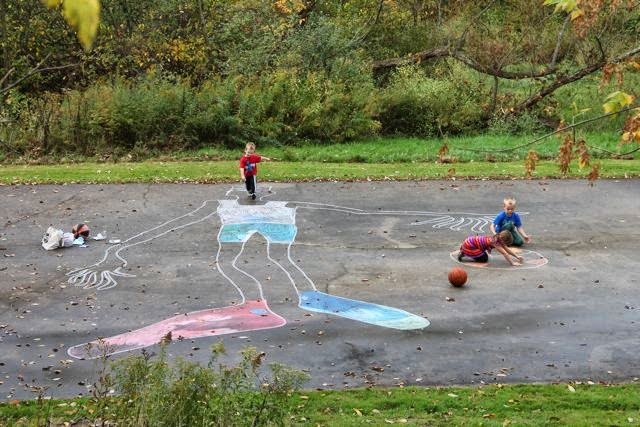 : A Game of Basketball and Imagination. This was actually the third time we read the book. In this book, two friends come up with the craziest ideas for trick shots. The dialogue between the two characters is super fun to read aloud. 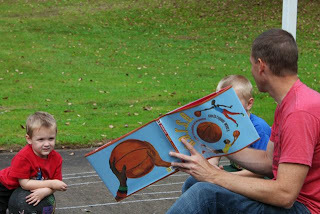 There was something really cool about reading a picture book about basketball while sitting on basketballs. You should try it! 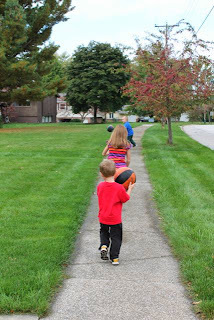 My son and daughter challenged each other to a game of H.O.R.S.E. They almost played G.H.O.S.T. which we learned in the book is also a common name for the game. I never looked at the game of H.O.R.S.E. as a game of imagination until I read H.O.R.S.E., but it is so true. 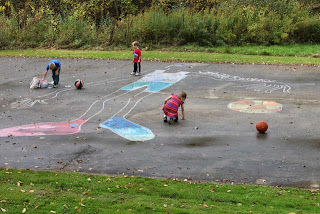 Watching them play brought back memories of my childhood playing this game. 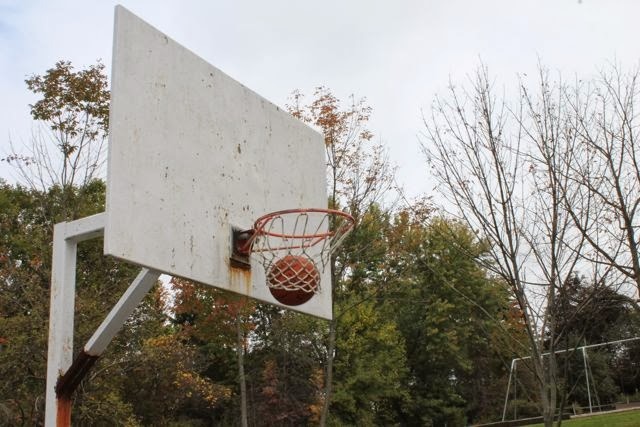 I remember always trying to make a shot while standing a rock that was next to our driveway and nothing was more exciting than actually making a shot with your back to the basket after flipping the ball over your head! We also read Wings which has one scene where the main character Ikarus Jackson flies over the schoolyard's basketball court. Ikarus is a new kid in the neighborhood and struggles to fit in because of his wings. Finger pointing, laughing, and lots of talking behind his back are tough for Ikarus but it only takes one friendly voice to lift his spirits. My youngest son loved two of the minor characters illustrated in Jabberwocky -- JubJub Bird and Frumious Bandersnatch. It is hard to tell from this picture, but he and I worked on drawing those two creatures while the big kids finished their game of H.O.R.S.E. We all left the basketball court feeling like winners! I hope this is the first of many memories for my children with the game of basketball!